A latex-free, self-adhering catheter and is made from clear material that allows you to check the condition of your skin at any time without removing the catheter. Because it is latex-free, it eliminates the risk of a latex reaction that could cause skin irritation.The kink resistant nozzle eliminates kinking, urine back-up and catheter “blow-offs”. The Freedom Clear catheter has a highly breathable, ultra-thin sheath that is more comfortable and healthier for the skin. 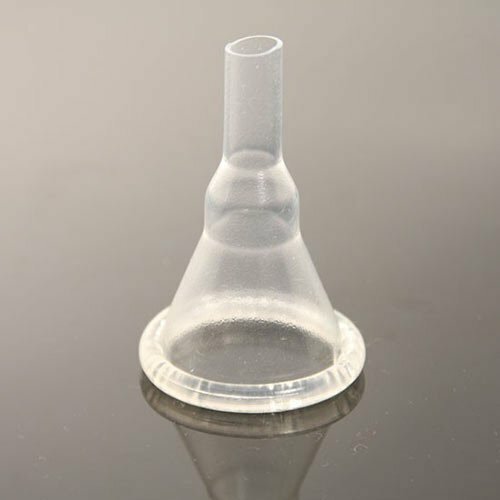 The kink resistant nozzle eliminates kinking, urine back-up and catheter “blow-offs”. This product has less aggressive adhesive than Clear Advantage with Aloe and is designed for everyday use. 24 hours is the recommended wear time before it should be replaced. This allows for your skin to breathe, and to clean it before a new catheter is applied. Each person is different in terms of the make up of their skin. Some may perspire more than others. Or may have an oily skin base, live in a warm humid climate. These factors will also affect the length of wear due to the break down of adhesive.